This book covers the math, mindset and career-hacking needed to reach financial freedom as quickly as possible. It may not be a quick path or full of easy steps, but Grants advice could help speed up your journey. Written by Adam on February 4, 2019. Updated April 24, 2019. 8 min read. Financial Independence. Leave a comment. I believe 2019 is the year the FIRE movement will hit the mainstream. The last few years have seen minimalism in the spotlight – first with The Minimalist’s Documentary on the topic and followed by Marie Kondo’s hit Netflix series. Minimalism has been around longer than the FIRE movement – or at least from an online community standpoint. It took a while for minimalism to build momentum to the point where Marie Kondo’s series tipped the scale to where everyone and their mother was talking about the topic. The FIRE movement has a few years to go before getting there. While there’s still a few years before FIRE hits that point, there’s a documentary and a number of books on the topic set to debut this year. 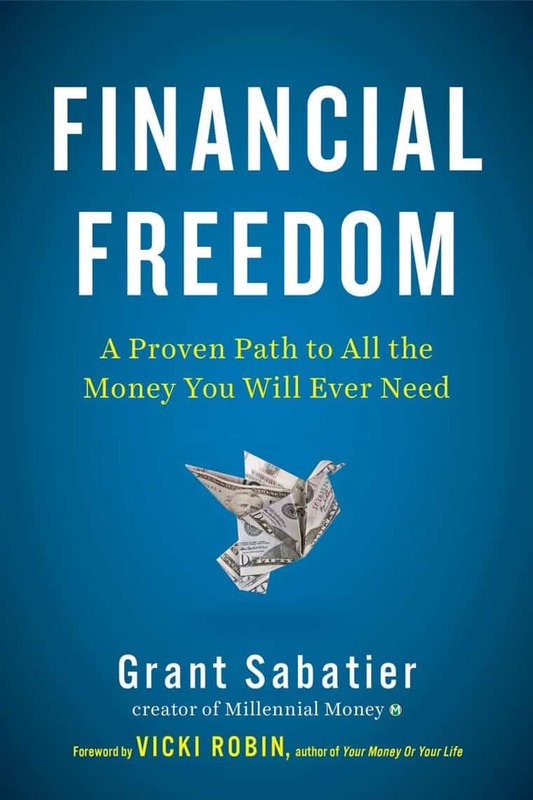 The first FIRE-focused book of the year came out today — Grant Sabatier’s Financial Freedom: A Proven Path to All the Money You Will Ever Need. 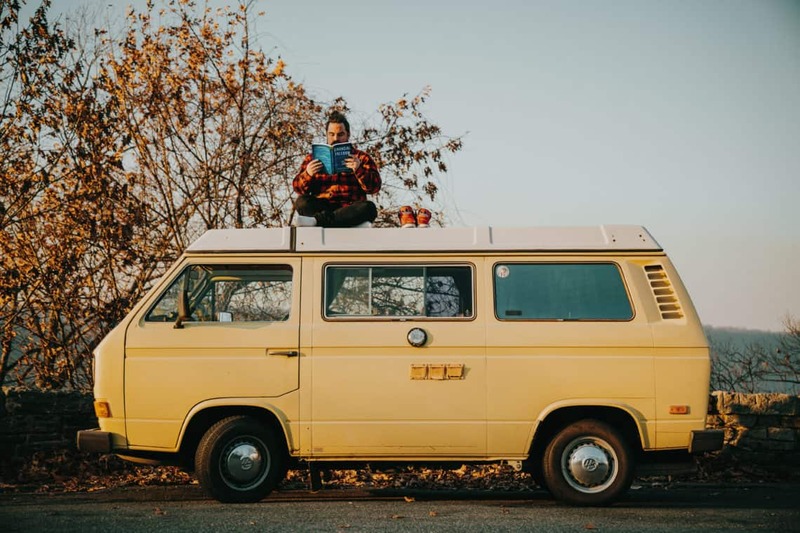 Grant has been blogging about making money, retiring early for years over at MillennialMoney.com before organizing his financial philosophy into book form. Why should we trade our lives for money in a career? Is it possible to amass enough money to be financially free and never need to work again? I didn’t want to wake up at sixty-five and realize that I’d traded more than seventy-thousand hours of my life working a nine-to-five for… what? Figure out your number. Understand how much you would need to be financially free. You can calculate this using my FIRE calculator to find it. Calculate where you are today. Understand how much you have saved and how it could grow. Radically shift how you think about money. Understand the true cost of every expense – how much it will cost over time. Stop budgeting and focus on what has the biggest impact on your savings. Rather than focusing on the small things, tackle the biggest areas – housing, transportation, and food. Hack your nine-to-five. Grow your career and increase your income on the job. Start a profitable side hustle and diversify your income streams. To lower risk, having multiple income streams helps! Invest as much money as early and often as you can. Focus on long-term investing and leaving your money to grow. While this is the guide to developing financial freedom, Grant points out there’s more to life than that. This gives you freedom to pursue a life focused on what you want – but you’ll still need to figure that side out. Finding a rough estimate for how much you need financial freedom is simple. Take your yearly spending and multiply that by 25. Easy right? If you spend $40k a year, that’s $1 million. If you spend $80k a year that’s $2 million. You can also calculate your number through the books tools page, or through my interactive guide. There are mixed thoughts on why this is enough. Some cite the Trinity Study, some do the math for themselves. I like Grant’s reason for suggesting this is enough: flexibility. Reduce spending – Tackle your biggest expenses first. Earn a side income – Side hustle, real estate. Figuring out how much you actually need in retirement is a notoriously difficult topic. There are countless unknowns – health care, your health, your future spending levels being the biggest. By Grants accounting, you likely need less than you think. He bases this premise on the idea that your money will grow over time, and the earlier you retire, the more you’ll be able to leverage time as an ally. Compound interest is what makes all of this path work out. Due to compound interest, your investment could double every ~10 years or so (assuming a 7% return). You can calculate how long it takes for money to double using the Rule of 72. The Rule of 72 can be calculated in your head. Divide 72 by a given interest rate and the result is the number of years it’ll take for that money to double. Here’s a quick calculator if you want to see it in action. One caveat Grant points out, and my own calculator is guilty of, is that it assumes a specific level of spending for the rest of your life. In reality, every year will be different. Some years you may travel heavily to visit family, while at other times you may enjoy time at home. You may even decide to take advantage of geoarbitrage and move to a lower cost of living area. 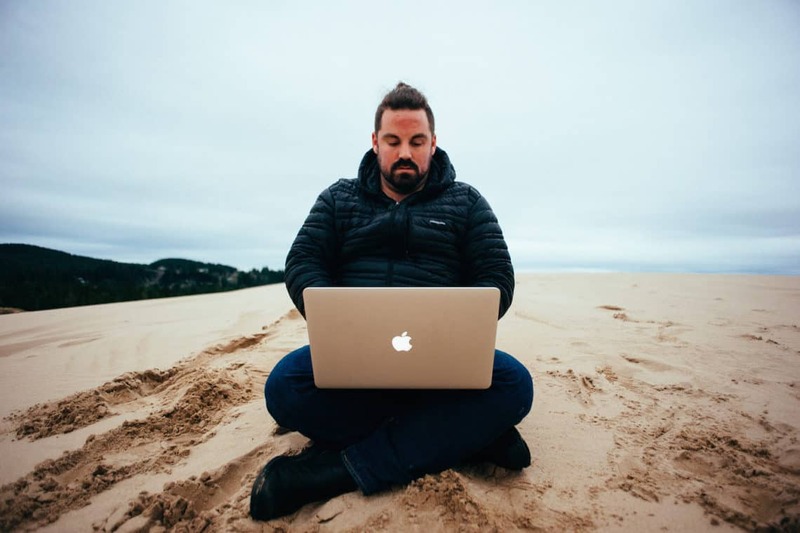 One area I’ve always connected with is the idea of growing your income in a job. Grant lays out a few ways you can do this. The most useful to me was the guide on how to negotiate a raise. Getting a raise can be one of the most useful financial levers of all. Not only is a raise for the current year, but (potentially) for all future years. By just starting your career with an extra $1k each year, you’d have an additional $122,000 after 30 years. That’s $30k in contributions and $92k in gains! Getting that additional income early is huge. Besides increasing income at your job, Grant highlights side hustles and real estate as other routes. I’ll be honest, I’ve never loved the idea of side hustles for income. I’ve typically found that the activities I’ve loved weren’t profitable, or even if I were doing them they were tarnished when I needed to do them. My take is that Grant has a passion for hustling. Developing a passion for anything takes time, sacrifice and grit. All of the things I’ve developed a passion for I love, but sadly none were particularly profitable. Finding a money making side hustle isn’t something everyone wants to do, but for those who can grit it out can reap huge benefits. What I connect most with from Financial Freedom is the idea that the future is flexible. If you over-save and stow away far more than you’ll ever need, there’s an opportunity cost associated with it. That’s time that you’re not spending following your passions. The financial independence movement is gaining momentum and Financial Freedom shows it’s not going anywhere. This post is part of Rockstar Finance’s chapter by chapter review of Financial Freedom. Although this post talks about the entire book, I did a deep dive into Chapter 3, “What is your Number? (It’s Probably Less Than You Think)”. Here’s a look at a few other reviews for you to check out. Chapter 10: The Seven-Step Fast Track Investment Strategy: Accelerate Your Moneymaking Money!